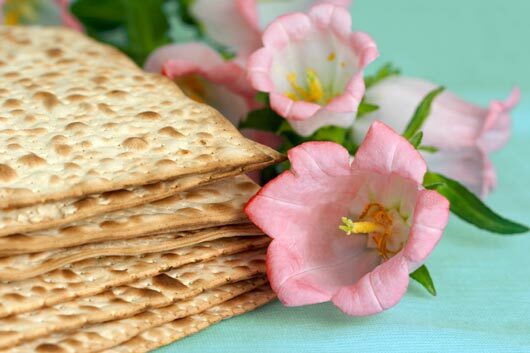 As the Jewish festival of Passover quickly approaches (it kicks off at sundown on Friday, April 3rd and lasts for 8 days), it’s time to get into a holiday state of mind by thinking about—what else—all the tasty Passover recipes you will eat. Before we dig in to the actual dishes you need to try, let’s back up. Passover commemorates the emancipation of the Jewish people from Egypt, where they had been kept as slaves for many years. The story goes that when they were granted freedom they left in such a hurry that they didn’t have time to bake their bread, which is why chametz (or anything made from leavened grain) is forbidden on this holiday. If you’re running down the list of all the products you eat that contain grain, then you’re already aware…the list is long. Bread, cookies, cake, pasta, cereal, most processed foods and even alcohol are all off limits for 8 days if you observe Passover traditions.